“What’s corn silage going to be worth this year?” Corn development is delayed for a significant portion of the crop and could be at risk of frost. Farmers may be looking at salvaging frost damaged corn that hasn’t matured adequately for optimum yield, moisture or quality by harvesting or selling some of those fields for silage. Silage piles and silage bags can provide flexible storage options. Local supply and demand and negotiation between buyer and seller ultimately determines the price. It is important that you make your own assumptions for your situation and calculate your own costs, in order to determine what you feel is an acceptable price. Then negotiate the best you can. 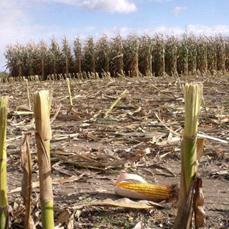 Buyers need to consider the nutrient quality of frost-damaged corn silage. Frost damaged corn silage will have a lower grain-to-stover ratio. Use wet chemistry laboratory analysis, and newer measures (including crude protein, NDF, fibre digestibility, starch, ash and fat) to more accurately estimate corn silage digestible energy. Slightly immature, frost damaged corn that has dented can make good silage. In general, this will have slightly higher fibre and crude protein and slightly lower energy levels than normal corn silage. Quality may not be optimum for high producing dairy cows, and it is sometimes a good idea to consider harvesting the better corn fields for silage. Very immature corn silage at the milk or early dough stages will have lower starch and higher fibre levels. This can be fed to animals with low to moderate energy requirements, such as beef cows and stockers. Additional grain can be more easily included in feedlot rations to increase the energy content. “Harvesting Corn Silage At the Right Moisture” (OMAFRA Factsheet 13-051 )http://www.omafra.gov.on.ca/english/crops/facts/13-051.htm. One method to determine the price of corn silage is to compare it to the value of grain corn to determine a minimum price. As a seller, you would not want to sell it as corn silage for less than you could net selling it as grain. Buyers feeding corn silage to livestock might be prepared to pay more, depending on what alternate feedstuffs are available. From a livestock nutrient point of view, corn silage may be worth more in the ration than is reflected in the market. These calculated corn silage values are not necessarily the cost of production, or the feed nutrient values, but reflect the market value of the alternate harvesting options (ie. harvesting as grain corn). Tremendous variation in yield and quality can occur between fields. Higher yield reduces harvesting costs per tonne. Higher yielding corn fields also contain a higher proportion of grain relative to stover, usually making them greater in digestible energy. A “thumb rule” is 7.7 bushels grain per tonne (7.0 bu/ton) of silage at 65% moisture for a good crop. As an example, refer to Table 1, Pricing Corn Silage Example Calculations. Example #1 has good yield, while the frost-damaged corn in Example #2 yields about three-quarters of that. 2014 Field Crop Budgets http://www.omafra.gov.on.ca/english/busdev/facts/pub60.htm. Percent moisture will have a significant impact on price, so it is important to sample and get reliable moisture numbers. Nobody wants to pay for water when they think they are buying feed. An error of only 5% moisture (ie. estimating 65% when it is actually 70%) is equivalent to almost $4 per tonne. The local supply and demand of corn silage and alternate forages will influence the price. The availability of silage storage and the economics of feeding are considerations. Sellers with a potential Crop Insurance claim should contact Agricorp (1-888-247-4999) before harvest to determine how selling corn as silage will impact the claim. 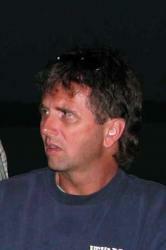 Good yield and quality estimates are important and should take into consideration actual weights and percent moisture. The removal of the stover organic matter could be considered as well.